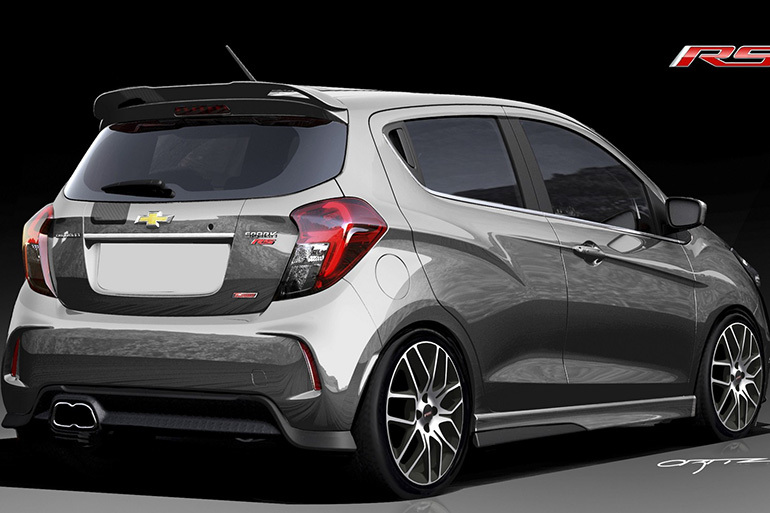 Chevrolet’s entry-level city car may soon be available as a hot hatch after the company revealed the Spark RS concept ahead of the 2015 SEMA Show. 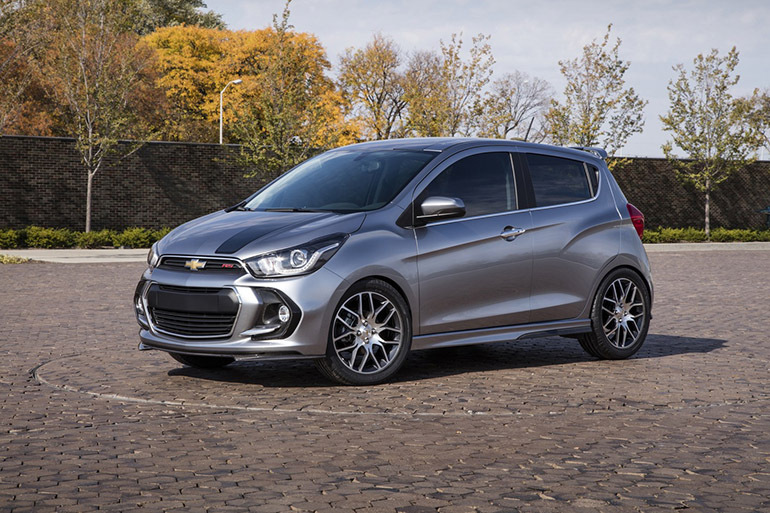 First revealed at this year’s New York Auto Show, the Spark RS gets a redone front end along with other exterior equipment that Chevrolet claimed will ‘spice up’ the hatchback. Outside, it’s finished in Dark Liquid Switchblade Silver and has black graphic accents. Seen at the front is a carbon fiber front splitter. It also has rocker extensions and a carbon fiber insert located below the rear bumper. It also has 17-inch alloys and a lowered suspension. No engine details were provided but the standard 2016 Spark is now powered by a 1.4-liter Ecotec engine that puts out 99 PS and can be mated to a 5-speed manual gearbox or CVT. It will arrive at this year’s SEMA Show on November 3, 2015 along with the Red Line Series concepts.